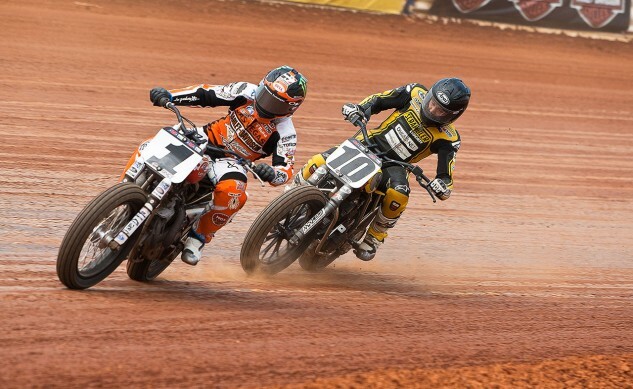 AFT Events and Charlotte Motor Speedway have reached a multi-year agreement to showcase the stars of AMA Pro Flat Track at The Dirt Track at Charlotte. This year’s Charlotte Half-Mile, scheduled for Saturday, July 30, will kick off the three-year deal at the world-class venue and will be the first opportunity for fans to experience AFT’s fast-paced and family-friendly event format, aimed at energizing the crowd. In order to help AFT Events drive attendance and engage the fans in the region, Charlotte Motor Speedway will be providing the company with expert marketing support. AFT Events was recently formed to usher in a bright new era for the sport, with a focus on providing family-friendly entertainment to complement the spectacle of Pro Flat Track racing. Large vendor areas, motorcycle stunt shows, live music, interactive displays and kid’s activities are just some of the elements that AFT has planned for the fans. With the motto of ‘Come for the party, stay for the race,’ ticket buyers can expect to get exceptional entertainment value for their money. Tickets for the Charlotte Half-Mile, scheduled for Saturday, July 30, start at just $29 for adults and kids 13 and under are free. For more information and to purchase tickets, visit http://www.charlottemotorspeedway.com/ama_pro_flat_track_charlotte_half_mile/. AFT Events is a subsidiary event promotion company of AMA Pro Racing. Formed in 2016 with a core focus of promoting AMA Pro Flat Track, AFT Events will bring a new level of entertainment and excitement to events, ushering in a bright new era for the legendary American sport. 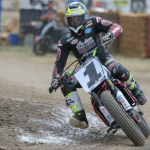 The Charlotte Half-Mile, scheduled for Saturday, July 30 at The Dirt Track at Charlotte Motor Speedway, will serve as the company’s debut event. 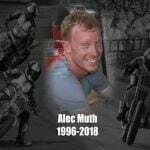 For tickets and information, please visit http://www.charlottehalfmile.com. Charlotte Motor Speedway is the only race vacation destination where fans can immerse themselves in the heart of NASCAR country. 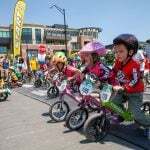 Visitors can see spectacles including the NASCAR Sprint All-Star Race, the Coca-Cola 600 and the Bank of America 500 as well as thrilling dirt-racing events at the half-mile The Dirt Track at Charlotte and full-throttle drag racing at zMAX Dragway. Attractions also include speedway and race shop tours, the nearby NASCAR Hall of Fame, and the chance to drive an 800-horsepower stock car. Charlotte Motor Speedway puts FANS FIRST with a never-ending commitment to enhance the fan experience, with unmatched value through affordable season tickets, unparalleled pre-race entertainment and more opportunities for fans to see their favorite drivers.